A private room will be available following the cocktail event to join friends & colleagues for dinner! Washington Update - Hear the latest on what to expect from the new Administration, DOL/IRS, and more that will impact your benefits and HR strategy in 2017 and beyond. PBM Contracting: As Clear as MUD – How to learn what’s in your PBM contract, the good, the bad and the ugly so you can maximize the value of your Rx benefit. Plan Sponsor Response to 401(k) Fee Litigation - Join a panel discussion to hear from an advisor, plan sponsor, recordkeeper, and asset manager about the significant changes to fee structures resulting from the wave of 401(k) plan fee litigation and what trends they expect to come. Tom Yopp, Senior Vice President, Chief Administrative Officer, Hendrick Automotive Group, Charlotte, N.C. Mind the Benefits Gap – Most of today’s employee benefits are not designed for the persona of a younger employee: single, no children, healthy, high student debt, and living with their parents. For employers that recognize and address this “benefits gap,” they will enjoy a competitive advantage in not only attracting and retaining younger talent, but also improving their employment brand in the market. Navigating the Paths to Better Retirement Outcomes – The fundamentals of building better retirement outcomes for a diverse workgroup includes both education and smart plan design features. 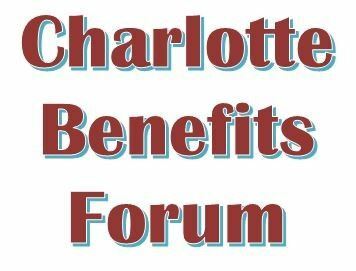 In this session we will talk to William Howard of Bernhardt Furniture and Thomas Geraghty of Schwab Retirement Plan Services on the considerations and sharing of ideas to consistently improve offerings to help employees properly save for retirement. Roles in a Post-Fiduciary Rule World - The DOL’s new fiduciary rule is triggering change amongst service providers and their fiduciary roles. Hear from a distinguished panel on how they see these roles playing out in the coming months, including an advisor, ERISA attorney, and plan sponsor points of view. Plan Sponsor Roundtable Discussion - Don’t miss this opportunity to network with other plan sponsors facing the same challenges in today’s market. Share best practices and learn from your peers. Sponsorship Opportunities Available! Contact ameans@sben.org for details.